This morning I became inspired by an article in the newspaper about edible flowers. I posted about this once before, but thought I would revisit ornamental and edible plants in the garden. You can take a look at the list of Edible Plants here. This time I wanted to expand on some of the edible plants I have in my garden, and also talk a little about some you should not eat. Also, some plants may be edible but not palatable. Here are some I have in my garden this year. Most alliums are edible. Of course, the ones we know best are onions and garlic, but there are ornamental alliums as well. The question is whether some of these ornamental ones are palatable. I don’t exactly know which ones are. Best to check information about the specific variety. Also, even if an ornamental allium is edible, it may have been treated with fungicide, so be aware of this.
. Oregano (several kinds). My yellow leafed one produces white flowers while my green oregano produces reddish pink flowers.
. Lavender. I use the leaves and flowers in salads and have used them to flavor cookies and lemonade as well.
. Rosemary. The same is true for rosemary. I use it in salads and for cooking.
. Salad Burnet is a nice herb with a watermelon flavor and a ball of very tiny red flowers.
. What I don’t seem to have this year is Nasturtiums. For some reason they did not self seed. I may just have to go buy some. These are wonderful in salads with a peppery flavor for both the leaves and flowers.
. Strawberries Of course strawberries are edible. Even some of the ornamental strawberries, if you can find the berries. I have both those used for fruit and ornament. I get berries on the ornamental one, but they are very tiny.
. Shasta Daisies The flowers are edible, but I have never tried them. Be aware that not everything we call “Daisies” are Shasta Daisies, so be sure you have the right one.
. Roses are quite edible. Rose petals in a salad or garnish for a dish are wonderful. We you can also make jam from rose hips. I had my heart set on making rose hip jam last year, but I found out that my housemate had used a systemic fertilizer/pesticide mixture in the spring. This year we made sure that we didn’t use the systemic. I am so looking forward to making jam.
. Daylilies are also edible. The flowers make a wonderful garnish for a dish or stuffed. I now have quite a few blooming, including my favorite Blue Eyed Butterfly.
. Would you believe tuberous begonias are edible.
. Sweet Potatoes are attractive plants and many varieties have been bred for beauty. The ornamental tubers are edible, but may not be palatable. If you want the best of both worlds, plant tubers designed for food and use them ornament ally as well.
. Do you know that Blueberries are beautiful plants and are a great addition to a garden. The fall foliage puts on a show of reds and maroon.
. Evergreen Huckleberry. The shrubs are beautiful and produce tiny black berries that are very tasty and have made great jam and topping or ice cream.
. Salal is an evergreen shrub with black berries. Native Americans used them as food staple and had medicinal properties. I don’t have any Salal, but a neighbor does.
. Oleander is Very poisonous to humans and pets. As beautiful as they are, I would not want to have one in my yard if I lived in a warm climate.
. Foxglove is also poisonous. Still it has medicinal uses as a heart medication, digitalis.
. Daffodils are also poisonous. Maybe this is why deer won’t go after them. Keep this in mind when planting spring bulbs. A list of Poisonous Plants is here.
. Never collect fruit or herbs from the side of the road. Think about all those exhaust emissions, Yuk!
. Also, do not eat flowers on which pesticides have been used.
. Check what parts of the plant you are interested in are edible. Rhubarb has stalks that are edible, but leaves which are poisonous.
. You should also be sure that the plant is the correct species or variety taht is edible before trying to do so.
. Make sure you wash the plant thoroughly.
. You should also not try too many new ones at the same time, as one may not agree with you even if it is edible. It is fun to try new things in your diet. These are just a few of the plants from the garden that are edible. I was unaware that some of the plants you mentioned were edible. This could open up some options for this summer’s menus! It certainly does open up some possibilities for summer menus. The year I discovered nasturtiums, I was ecstatic. The peppery flavor is wonderful in salads. I love going out into the garden in summer to pick herbs for salads. I have not yet tried some of the less commonly known edibles, though. I plant to expand my own culinary repertoire this year. You have such a prolific garden and I love all the info you share. I like to let some things go to seed just to enjoy the blooms. I let some radishes and bok choy go to seed but will tear them out soon to plant some late summer tomatoes. Thanks for linking up. I let most of my ornamentals go to seed for new blooms next year. I will also let my cilantro go to seed, as then the seed heads become coriander which I can also use. I did that last year in hopes of winter cilantro here but very little came up. Thanks for coming by. I love oleanders on freeways and ornamental shrubs in Southern California, but was always afraid of having one in my own yard. I’m now in a cooler climate where they won’t grow. Still glad to pass the word along. Wow, you have a wealth of information here! I didn’t know Shasta Daisies were edible. I have some ornamental onions I obtained from a plant swap, but I’m too afraid to eat them. Your gardens must smell heavenly from all the fragrance. I hadn’t known shasta daisies were edible either until i started writing this. I guess we learn something every day. Thanks for stopping by my garden post. Thanks for coming by. 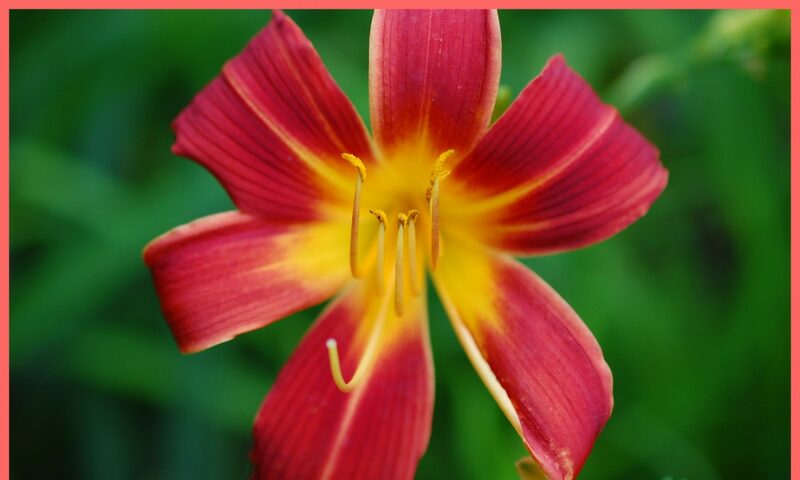 I havent tried daylilies myself. But I think I may try them soon. Thanks. I really do love the salad burnet. It has a fresh watermelony flavor and is great in salads. It self seeds happily, but politely; so it does not become a thug. Great post-didn’t know about shasta daisys being editable!! I love wild purslane- great stirfried with oil and onion and a bit of garlic. We also have a wild spinach which doesn’t look like spinach at all. Thanks. I didn’t know they were edible either. The important thing is to make sure that shasta daisies is what you really have. I have never tried purslane, although I know that it is edible. I have never heard of wild spinach. My grandmother taught me to recognize lambs quarter as an edible wild plant when I was very little, and I love it with just a little onion. Thanks for linking up. It’s amazing how many flowers and plants are edible. Thanks. And thanks for coming by. Yes, it is amazing how many flowers that are edible. I am learning something new all the time. Thanks for coming by and for your comment. Thanks for putting this all together. I had no idea garlic and onions had such lovely blooms. A very interesting read, thank you! Thanks for coming but. I think that garlic and onions do have beautiful blooms. My garlic blooms are huge and rival any of the ornamental alliums when they open up. Wow, what a beautiful garden. Happy WW!!! Thanks. And thanks for coming by. Such a wonderful list! My favorite edible flowers are nasturtium. I am growing rosemary now – such a strong flavor compared to the kind in the store bottles.